Nice picture of the Air Classik replica on roof of the Frankfurt terminal building. 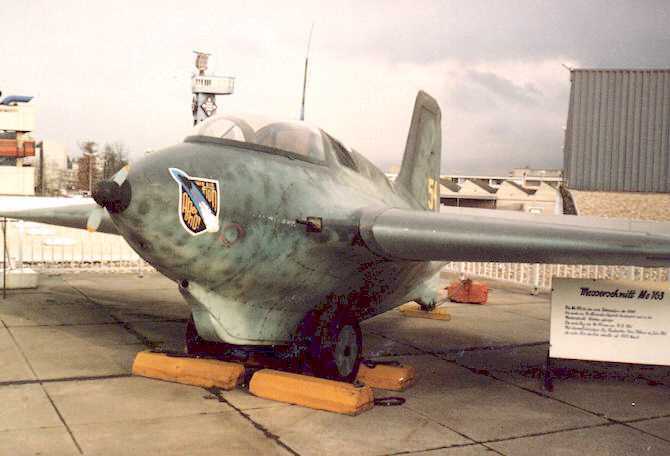 It features a combination of known Komet camouflage 'ingredients': a mottled fuselage camouflage, code '54' on the tail, and the 2./JG400 badge on the nose. It looks amazingly realistic from this distance.